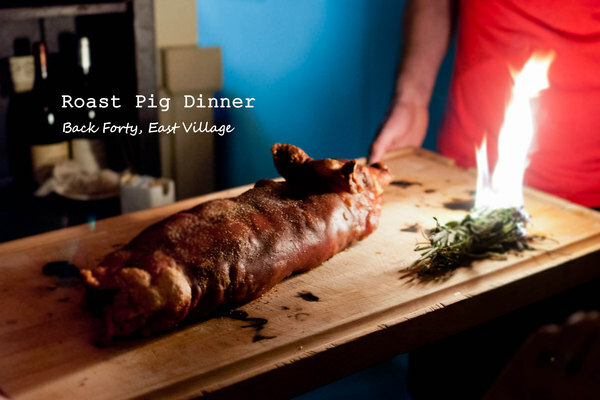 I had the chance to enjoy a roast suckling pig feast for a private dinner last night at Back Forty. 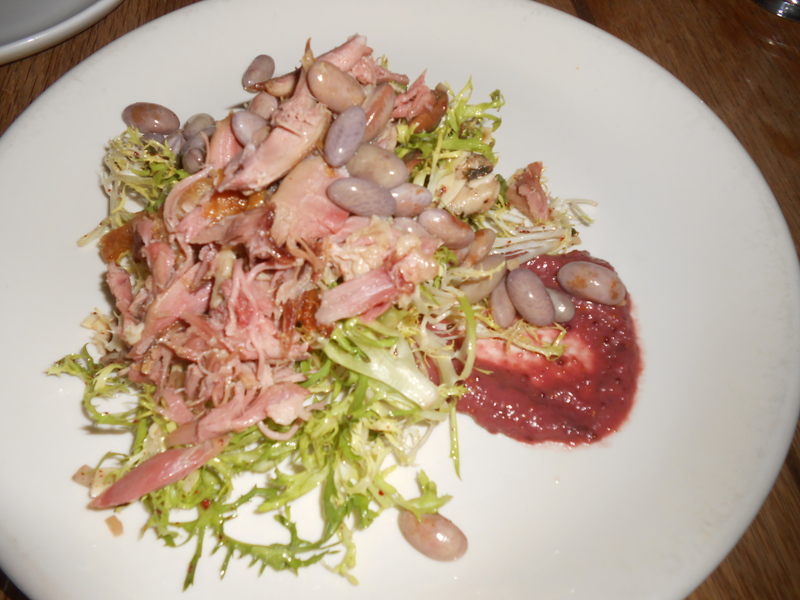 We were served salad first, which consisted of pork, beans, crispy skin and/or bacon and a sauce that I couldn’t quite figure out. It was delicious- Very flavorful and I enjoyed the crunchy saltiness of the salad. Next we had goat soup, which tasted like it had a tomato base with various vegetables. It was just okay. 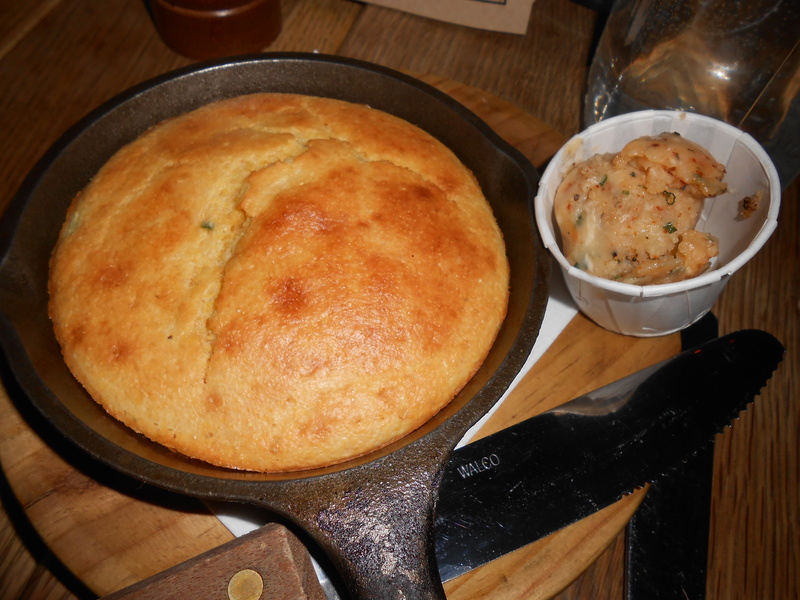 Then there was corn bread which came in a super cute iron skillet, with herb infused butter. The corn bread was wonderful- Warm, moist, with a crumbly consistency and slightly sweet. And the butter brought out the flavors more fully. After that the waiters came in to show us the whole suckling pig on a platter, which was a bit disconcerting actually- It kind of ruined my appetite to some degree. 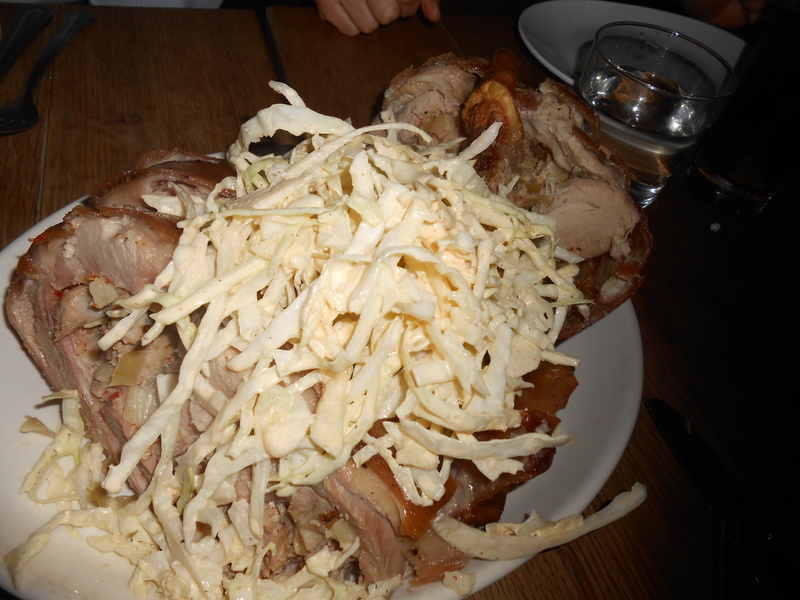 The suckling pig was served Porchetta style — Boned out, stuffed, and roasted with slaw on top. It was incredibly tender, succulent, flavorful and the skin was crisp and salty. The slaw was a nice accompaniment and slightly spicy. 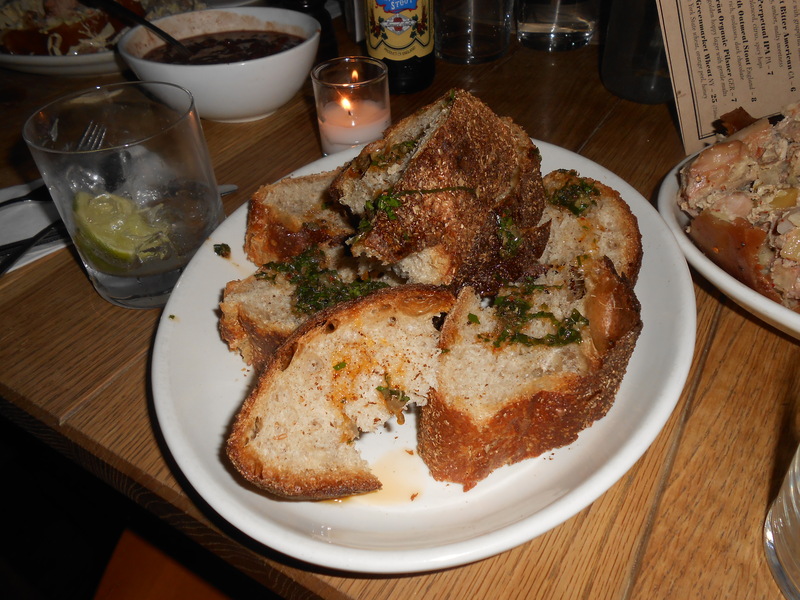 There was also crunchy thick country style bread with spinach, which was delicious and didn’t even need butter! And then there was dessert. 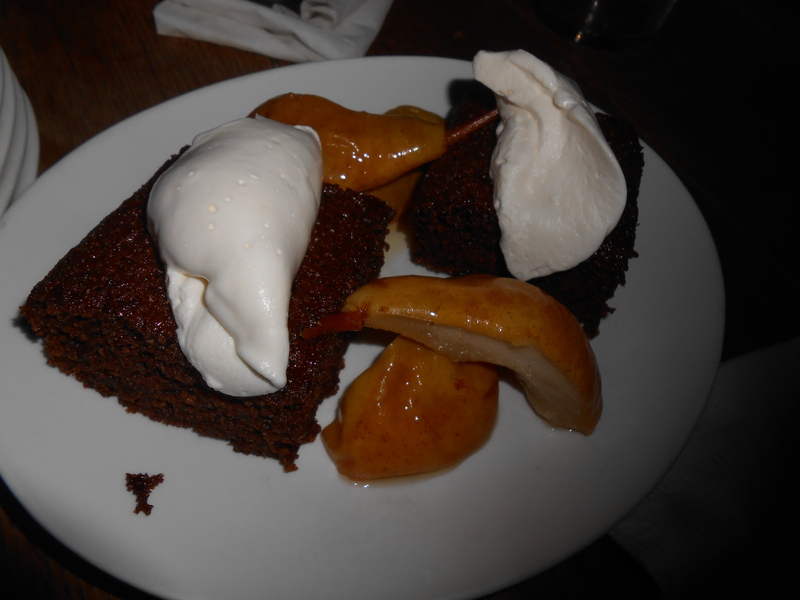 It was what looked like chocolate cake with whipped cream and poached pear. Upon tasting the concoction, we realized it was ginger cake and that the whipped cream was bourbon infused. The cake had a nice zesty flavor and the bourbon whipped cream, along with the maple-soaked pear added to the deliciousness. 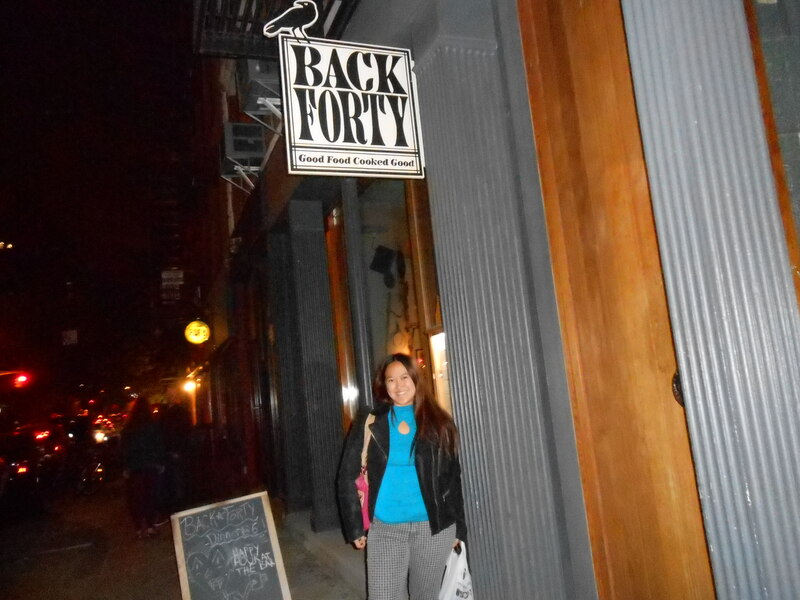 Overall, a pretty good meal with excellent service, though a little on the pricey side.